Gag me with a spoon, Erie Meyer. America’s self-described “foremost technologist named after a great lake…working on service delivery” at the U.S. Digital Service recently described in a Twitter post what her former career was really all about. My job used to be getting as many clicks and as many dollars for those clicks as possible. I do not miss that. So far, “implementing buttons” seems to be right in the USDS sweet spot. Consider their accomplishments: A College Scorecard website for the Education Department; a “revamped” online presence for the Federal Election Commission; and a Web template designer for static government websites. There have been others, but nothing revolutionary. This is a big problem for the USDS at the White House and its sister organization, the General Services Administration’s 18F. Both organizations should be bracing for a major slap in the face from the Government Accountability Office, which is planning to release an audit of their progress to date. And The Situation Report has picked up strong signals that these particular digital audit pages will make a loud thud when they fall on the desk of U.S. Chief Information Officer Tony Scott at the Office of Management and Budget. 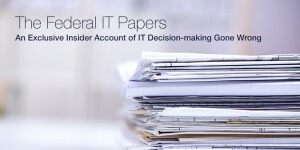 On May 16, MeriTalk will begin publishing The Federal IT Papers—An Exclusive Insider Account of IT Decision-making Gone Wrong. This weekly series of stories is based on a book-length work by a current senior Federal IT official who goes by the pseudonym Demosthenes—a great orator in Ancient Greece, and the name chosen by Valentine Wiggin in Ender’s Game. Our author insisted on anonymity due to a fear of reprisals. In our first installment, Demosthenes takes issue with the government’s infatuation with the U.S. Digital Service and the way in which career Federal IT workers are treated. In one case, a USDS specialist recruited from Silicon Valley by an agency CIO went so far as to undermine the CIO who hired them. The result? According to Demosthenes, the agency head decided it was time to get a new CIO. 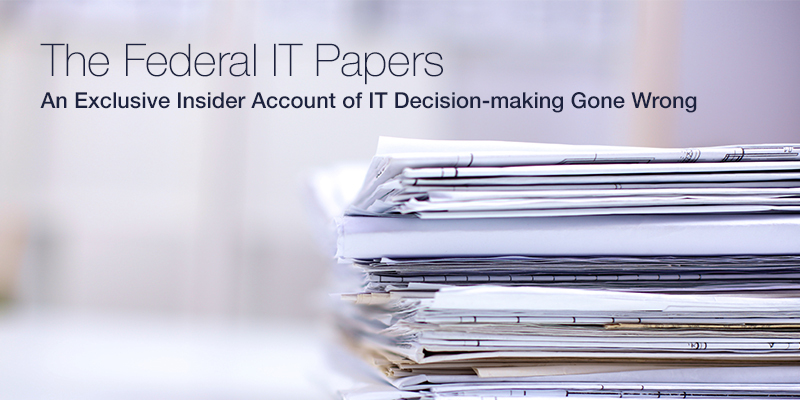 You can read more of The Federal IT Papers starting May 16. Let’s make it three and go for the hat trick on digital services. My left coast listening post reports that it’s no coincidence that GSA’s latest innovation partnership in San Francisco will be located right next door to the West Coast 18F. My Market Street surveillance station has picked up strong signals that the so-called Superpublic Innovation Lab is part of GSA’s master plan to extend 18F’s presence both physically and politically—reaching a hiring velocity that makes it virtually impossible for the next administration to escape the pull of government digital services. My Vermont Avenue surveillance station in Washington, D.C., has noticed unusual Government Accountability Office activity at the headquarters of the Department of Veterans Affairs. Sources tell The Situation Report that auditors are interested in VA’s progress on identity theft prevention. In particular, investigators want to know how far VA has come in eliminating the use of Social Security numbers as a key identification number for veterans.